Now updated for LH 1.8 compatibility. Download here via Nexus. Updated to version 1.8a, includes compatability with LH 1.8 as well as a number of bug fixes, enhancements and balance tweaks. See here for the full change log. Heavenfall – For the BG Unitstats library, a few bits from Children of Storm, some ideas borrowed from the Goetia Mod, the Cacus Giant, lots of invaluable advice and assistance regarding modding FE/LH. Go checkout Children of Storm if you haven't already (http://childrenofstorm.wikidot.com/). Davrovana - Faction, Sovereign, Champion backstories. Nightmurderer03 - Lots of ideas, unit designs, beta testing and feedback. ManiiNames, NaytchSG – beta testing the early versions. parrottmath – Maul debuff mod and his outstanding contribution to FE/LH modding. DsRaider - Some faction traits, some bits from AIPlus, inspiration from his various great mods. Primal_Savage - For the ClotheLootFix and lots of help with LH modding along the way. OliverFA_306, GfireflyE, Murteas, Brainjuggler, Naidrev, LordTheRon (and lots of others) - for providing ideas, feedback and discussion which is invaluable when working on this stuff. fsemprini – For the Summoner Path selection graphic. brich1212 - for the original Ranger path mod. After reading the text file I really appreciate your train of thought that went into making the mod. 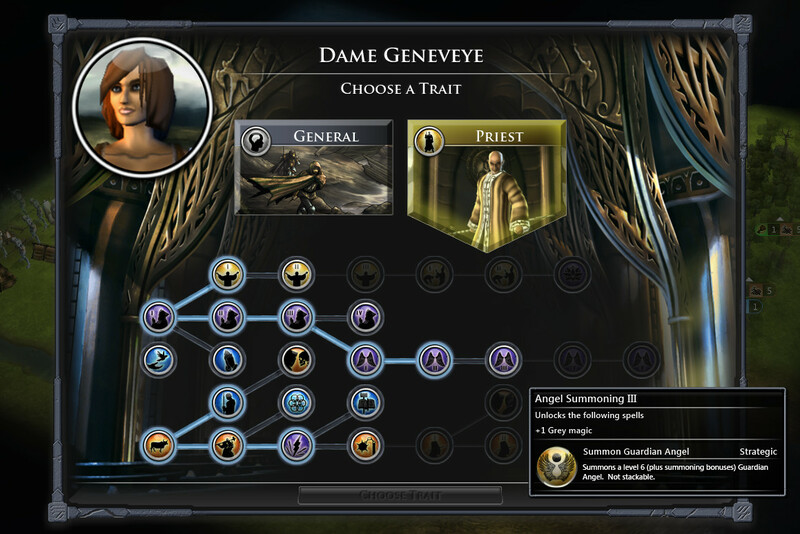 Stardock really needs to address a more coherent way to visually choose Trait Paths as installing the optional TraitPathChoiceWnd.dxpack isn't going to cut it when you have multiple Path Mods installed. I'd suggest a Wheel/Spoke method, so that when a new Path Mod is installed it just adds an incremental spoke to the Wheel. There could be a Preview window off to the side to display the current humungous tiles that display info about the Path selected. The icons are bugging for me, any suggestions? ^ Likewise here, Sjaminei. While it may be a problem with this mod itself, on my end I think it's far more likely due to mod conflicts (I'm still running quite a few like CoS). 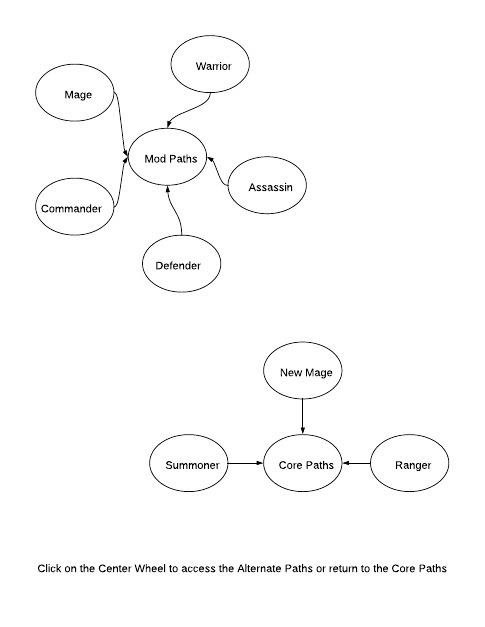 As it says in the readme, this mod does a lot behind the scenes with changing how spells and summoning work, on top of changing the mage trait tree. Which is unfortunate if this is due to conflicts, as what this mod accomplishes sounds fantastic. I've already disabled "Heroic Pursuits 091 For LH 11 New Traits" since any mod that heavily changes traits would obviously cause problems. Although I'd love nothing more than to see that mod integrated with this one somehow. Not sure what you'd think of that, at least as an optional file. Seems Bluegreen hasn't been it updating lately... perhaps he'd allow it. I also already use TraitPathChoiceWnd.dxpack for the Ranger mod. Is it possible to make the edited .dxpack file work for 7 classes instead of 6? Wonderful ideas. You should post this elsewhere too incase the devs miss it here. This is definitely on my radar. I'll be trying it out after I finish the current game I'm in the middle of. Yeah the path selection screen is horrible from a modders perspective. I'm trying to figure out if it's possible to at least put next/previous buttons on it so you can click to see the next lot of paths. I've got some other mods in the pipeline that add more paths so need to try and find something better. @sjaminei/Victor5 - can you elaborate on the icon problem.... are there icons missing.. ability icons or spell icons? Or is it that the trait trees are messed up? @ManiiNames - does everything look of for no icon problems, thanks? Regarding Counterspell.... yeah I did consider that, will make a note and probably add it next release, thanks for the feedback. Added to the mods list! I'll have to check this out. 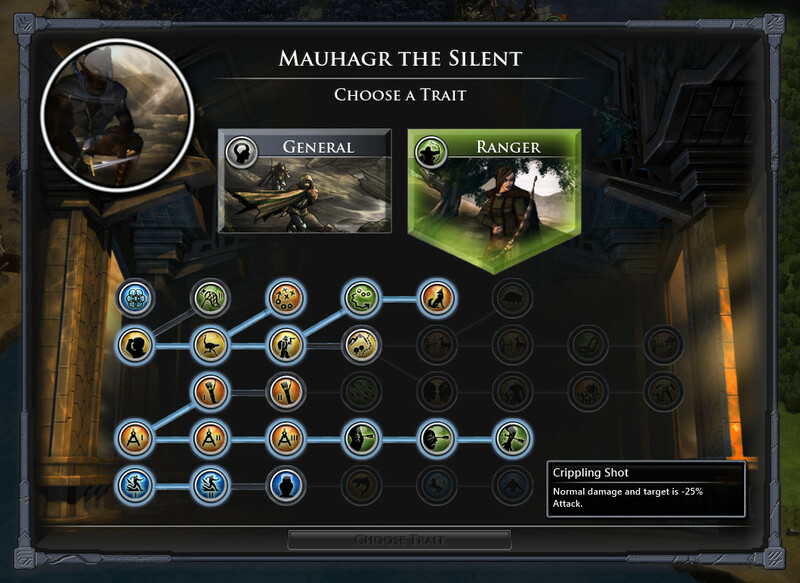 As I use Path of the Ranger, I am very interested in seeing if you are able to make both work. Yay!! A new game of 1.3 with a new version of this mod! Will we see your Druid class soon? I haven't tested against 1.3 but assuming 1.3 is mostly AI stuff it should be fine. BTW, let me know if you have any trouble with the icons etc as reported by the guys above. Will we see your Druid class soon? I'm not creating a Druid class, but I'm am working on mods that build on this one. The next mod I plan to release will be an addition to this one, and should include 4 new spell schools: Nature, Beats, Shadow, Battle. I'm toying with a couple of more schools also. The new schools will all have summons etc like this mod. I've done a about half of the work already on these schools, but hard to say when exactly it will be available. 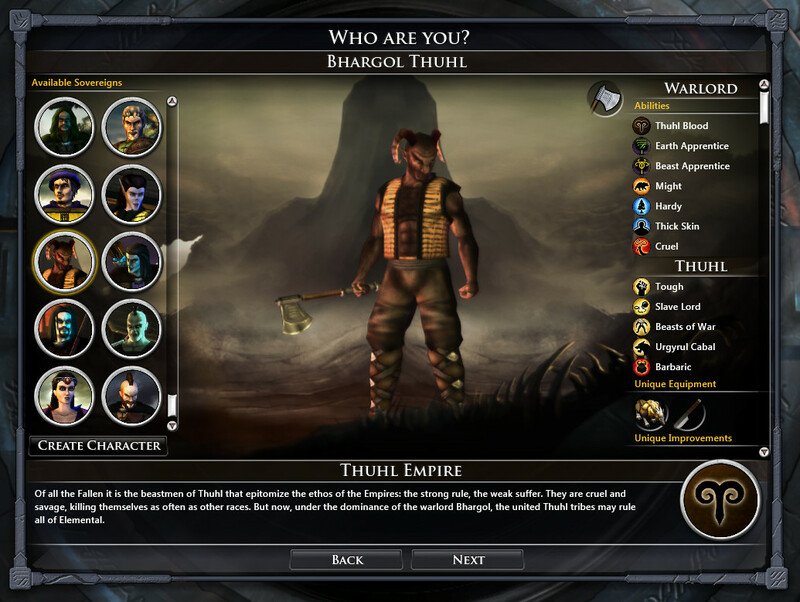 Then, all going well i've got a 3rd part in the pipeline to add a bunch of faction traits, factions etc. Have done a fair bit of work on it already. One of the factions in that mod is a tree-hugger type faction with the the Druid guy as the Sov. He will use the Nature and probably Beast spell schools, and the tree-hugger faction will have a handful of unique ability traits also - which helps build on the druid theme but doesn't go all the way of having a complete path. Wow! Can't wait! Will drop some feedback on you later this week when I have more time to start a game. This mod is AMAZING - exactly what was missing from the sorely disappointing mage path! I just started a new game will do extensive testing, but my first impression is overwhelmingly positive! Thanks Brainjuggler, yeah I just really wasn't into the direction they took the Mage path. I think/hope this mod provides a more interesting alternative. I haven't had as much time to actually play it as I would have liked (still working on mod stuff) so the balance is probably all over the place. Let me know how you go and if you spot any problems, cheers. 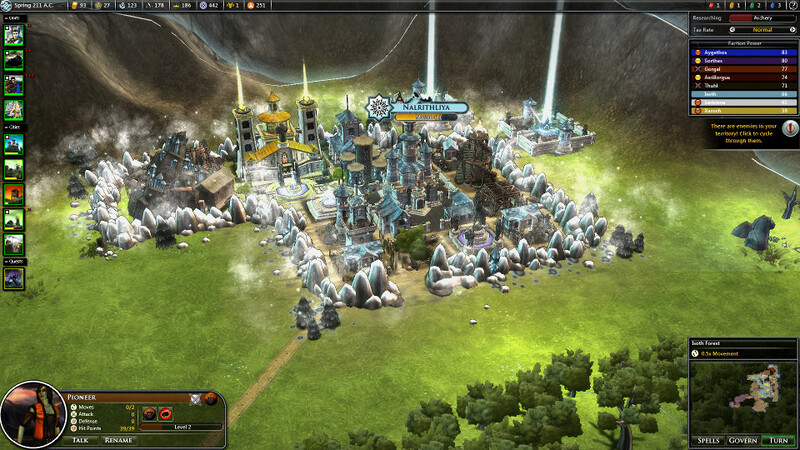 I'm playing along, its turn 129, just built my 3rd city, and my Sov is lvl 3. I get attacked by a stack featuring a lvl 14 commander and a lvl 11 mage. The mage casts Embers and my whole army just dies. Now maybe I didn't level up as much as I should have, but getting to 14 that early in the game is impossible for human players. Yeah that seems a bit strange, I doubt that would be anything to do with the mod though - I guess it could be but it shouldn't affect experience gains (much). If you happen to see something like that again take a screen grab of the high level guys unit card, specifically the abilities... would like to see what path and traits they had. What size map and how many opponents were in that game? Played a few partial games with this mod. Frankly I think the main branch is too strong. The Drake / Shrill Lord / Dragon line is incredibly powerful and comes relatively early in the gameplay. Once I have a Shrill Lord I feel invulnerable, and that is compounded by the dragon. tiny map, 4 players, dense monsters, above average wildlands, challenging environment, hard AI. I can believe through a fluke of some overpowered abilities the AI was able to just sweep up a huge number of monsters and power level himself to mad heights. For now, I'll hope it was a one-off thing and start a new game. @Brainjuggler - yeah maybe a fluke. I wonder what level other factions were at that stage. L14 does seem rather high for 130 turns in. Let me know things go next game, appreciate the feedback. Played a few partial games with this mod. Frankly I think the main branch is too strong. Yep you're right, it's way too strong. That was the last thing I worked on and probably rushed it a bit without thinking through the balance enough. Will make some big changes there next release definitely. The problem with lots of mana maintenance is that then your empire can't cast anything else. Unless it's huge anyway. That being said the main branch is beyond strong. Paying 10 mana per turn for the dragon would not be out of line IMO. Think of it this way, you can get the dragon @ L12, and it doesn't take that long to reach L12, especially compared to how long it takes to slog through the entire Civ tree to get the right tech. I've played a fair bit as a summoner now, using this mod. Got to say that it's an amazingly well put together mod. No bugs encountered and everything felt as it fit right into the world of elemental. Felt as if it could had been part of the game from release. Unfortunately it sort of got boring pretty quick due to the lack of balance. As mentioned by others it's a lot easier to powerlevel a summoner then it is to tech up to equally strong units. This gives a snowball effect as each extra level your summoner gains gives you an even stronger creature to help you level up even faster. I've got a few suggestions, tough I'm not sure if they are any good, since it's basically pokemon. 1. Decrease the number of summonable units to just one per school. Just for now. You've created some very interesting units but six new units are plenty to playtest and give feedback on. Also, I wouldn't mind if you'd started by tinkering with the vanilla summonable units first and then added new units once you feel the old ones are fun and balanced. I found no reason to use the vanilla summons at all with your mod installed. 2. I personally would have prefered if the units you summon start out at just lvl 1 and quite weak. And then become stronger than conventional units as you level them up. 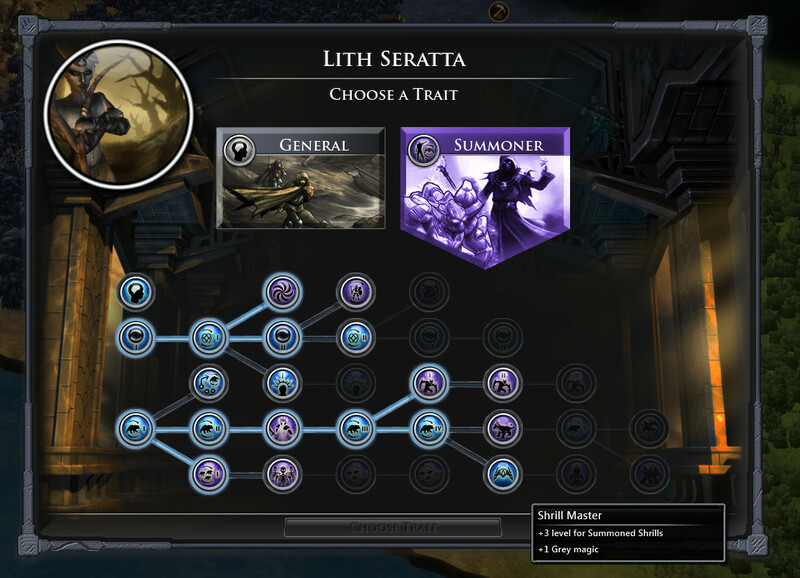 You've already added some abilities that are not featured in any vanilla unit or spell. If they would increase in potency as you level the creature up, instead of starting out fairly strong, that would work I think. This way you can summon units all day but you'd end up with a really weak army that would only really be good for emergencies. Or focus on training a few to become endgame powerhouses. 3. The horde boosts to summons is a great idea. But perhaps it's better to have those units to be upgradable by paying 50 mana for each extra figure in the unit. This is because there's no reason to use lesser variants of the horde-type summons once you gain the stronger versions. And if you already summoned a bunch of the lesser versions they are essentially wastes of xp in the later game. 50 mana is a great deal for just a slightly stronger unit. But if it is a means of boosting your precious summon, after it gained a couple of levels, it would be well worth the cost. 4. Consider making a few of your units something like henchmen. They add a slight boost to the entire army and can use weapons (or shields for the earth version) and misc items. If they get a bonus to their brand of elemental damage (say +20%, earth gets a defence boost instead, life gets a chance to heal afflictions on itself and death ignores 20% armor) it would push the player to give them items corresponding to their theme. This way you can make the unit itself weaker since the player can add items to boost them. 5. Consider what each type of magic is lacking. For example, It's tempting to make the fire summons weak in hp but strong in damage. But with so many spells that do damage fire mages don't really need something more that adds damage. The need something that ties up the enemy long enough for them to cast their spells, like a big unit with massive hp that simply blocks the path of the enemy. In contrast water mages lack a good artillery spell and so could use a strong archer-type unit. Life needs something that does AoE damage or boosts army damage, death mages need a slow tank (grave elementals are already a good fit), earth could use a fast but fragile assassin and air a weak medic. This way the summoner would do similar damage to a standard mage, but in a slower, more flexible way. I like this! Just make sure the later ones don't get popped by wolves or something. This is risky. Each school has its particular strengths and weaknesses; if you start rounding them out then they lose their identity. If you want to play with Fire for huge offense then you have to deal with the lack of defense - or pair it with Earth. The problem with lots of mana maintenance is that then your empire can't cast anything else. Yep I'm trying to avoid that situation as much as possible. That's why I tried to keep the maintenance cost for most summons down to 0.5 mana/turn. I agree though, that if the dragon stays (and i'm toying with getting rid of it) increasing the mana maintenance for something that uber is probably worth considering. 3. The horde boosts to summons is a great idea. But perhaps it's better to have those units to be upgradable by paying 50 mana for each extra figure in the unit. This is because there's no reason to use lesser variants of the horde-type summons once you gain the stronger versions. I could be wrong but I don't think there is any way to specify the costs (mana etc) for upgrading a unit. I think it's currently fixed to like 50gp per unit. So I don't think it is possible to have a summoned group cost mana only for an upgrade. So once you get all the grouping abilities you can summon a group of 5 x L1 members or 3 x L3 members. I guess in that situation the higher level group would still be a lot stronger despite the fact that it's still smaller. I might take a look at that. 4. Consider making a few of your units something like henchmen. They add a slight boost to the entire army and can use weapons (or shields for the earth version) and misc items. While they can't use items, the units under the "Outer Planes" ability... as well as some of the Angel units, are supposed to be a bit like that... i.e. generally they are supposed to help boost the army. The Windwalker can use Haste and Guardian Wind, the Undine provide s dodge bonus.. will work on it more but that's kinda the idea of those units. Some of the Angels are supposed to be a bit like that too... the Guardian Angel has Shieldwall and Obsidian Guard. That sort of thing, possibly it's not real obvious but that's kinda the intent there. That's interesting... What I might look at it making more of their abilities stronger by shard. So for example, the Undine could provide an army dodge bonus of 2 x water shards or similar. Isn't this exactly what the Summoning Pool was invented for? Maybe the pool needs to go way down and the mana costs removed completely? Something from left field: in this mod summons are everywhere. What if there was a Banish spell that dealt high damage just to summoned units? It'd have to be easy to get, possibly unlocked with Sorcery or somewhere early in the Mage/Summoner paths.